402-france03 : A passage through the Champs Elysées. And if you like this style of transition, the next set will be devoted to New York ... Do not hesitate to send us your requests in the "Comments" section of this news article. And if you like this style of transitions, the next set will be devoted to New York ... Do not hesitate to send us your wishes in the "Comments" section of this news. To download the zip file, go to the Free HFX page , find 001 or 101 or 201 or ... and click on the "Go" button. In the extract that appears, find your target and click on "Visit" to download the ZIP file. If you have difficulties unzipping our transitions, refer to step 1 of the tutorial " My HFX transitions create problems for me.. ."
By the way, do you know that you can receive our most recent information in your mail box ? It's free, and it's very simple: Free newsletter . Is HFX Creator tool included in Avid Studio? I started video editing with Pinnicle DV 500 Pro which included Hollywood FX. It was linked to Adobe (6.0 I believe). I bought all the Hooywood FX upgrades. I liked the program very much. Then Pinnicle & Adobe split -- and I lost all support for my Hollywood FX. All my video production was geared to Adobe. So I bought Avid Liquid Pro just so I could access the Hollywood FX. I could never get Avid Liquid Pro to operate properly and thus I never could use my Hollywood FX. Despite many requests for assistance I never got the help I needed from Pinnicle. 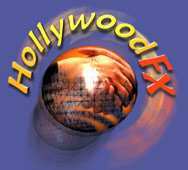 For guys like me why don't you offer Hollywood FX as plug-ins for other programs? I'd snap them up and pay for them all over again. Perhaps because we are not affiliated with Pinnacle in any way whatsoever. We are just a non-professional team. We freely spend some of our free time to help others. You'd better send your request to Avid or Adobe. How do you slow down a Transition such as #314 and #316 ? Is there a SHORT tutorial showing essential controls and functions for the HFX editor and transitions in Studio ?? To slow it down, just enlarge the transition length in Studio (drag the end of the transition). Try tutorials "Tuto-2" / "Tuto-5" as well as "Tuto-6" in our HFX Tutorials. I am having problems with serval Transitions whereby it is very smooth in the HFX Editor but not very good in my Pinnacle Studio 12.1 Ultimate . I have tried to do different settings in the Editor but that did not change anything in Studio . The latest one that has presented a problem for me is " 316-passeport " whereby the scroll bar moves across very rapid and the " Passport " is visible for only a few seconds . I have several hundred of Transitions and out of that about 24 have the same characteristics in Studio but not in the Editor . Are there some settings that I may not be aware of that require checking . I did try to slow it down but did not change the outcome . In fact, transitions are becoming heavier (file size) and much more complex that the first one we offered. Consequently, you need a strong configuration and graphic card to have a smooth display. If not, try to enable the preview rendering. It is nice to see you back . Its been quite a while since the last ones . This group as always are a welcome adition . I am hoping that your inspirations will take into more VACATION type of topics such as the TROPICS and more in AVIATION ( Helicopters ) and CARS . Is it possible for you to provide the same transition as *022 NIKON but without the word " NIKON " ?? It's difficult because the text is included in the 3D object. I've made a Special HFX I send you by mail. It's not very nice. I'm sorry but I can't do better. The new Transitions are really a great asset to enhance any Tropical theme . Is there a Tutorial on entering the Camera name in the new #022 ? I am hoping you might consider Transitions as a Travel departure/arrival theme for Airports , Train Stations , Bus Terminals and Cruise Ship Terminals . This is only food for thought but is there any way of providing all of your Transitions with Tutorials in a separate listing which would make the listing more orderly and functional . Thank you for your comment. There is no tutorial for transition # 022-2, but look at our tutorial "Tip-3 Modify "Texthere" for HFX 169" is the same. I have noted your requests and I will think when I get a little more time. For your consideration I have a ( seems many !! ) request on a how Tutorial to do TEXT sidebars with a transition for Studio 12 ( not widescreen ). And tell us if it answers your desire. If not, would you please be so kind to develop a little bit, so we can better understand the idea behind ? Is there any forum links or any other information related to it ? This will help Le Papy to pinpoint the desire. Your new #332 Transitions are super and you are right the Designer is gifted and the theme is very interesting in its concept . To enhance Vacation Videos with this material is a real asset to any production . As mentioned in December I am in the hope to see material covering Departure/Arrival Terminals such as Air , Sea , Train , Bus etc. Love it for " LOVE "
As akways I just love your new Transitions . You are asking for requests and I am still hoping that you consider the ones I made last November and December to enhance Travel/Vacation clips ?? The contents should be around Travel Vehicles such as Cars , Buses , Trains , Cruise Ships , Airoplanes ( Commercial ) and even such simple things as Bicycles . Papy asks me to inform you that: "he does not forget something when he is asking feedback from users. But it's difficult and very long to search for pictures royalty free, and we have many things to publish. He already starts with some of them that you requested, he still has to finalize it, to test it, to verify that it works in every configuration, then to propose it to a panel of user who test it, and finally, to publish it ! Something which might takes fw months..."
Many thanks for your response ! Yes no argument Le Papy has responded to some personal requests and others to which I am greatful and I hope he knows that ! I am very responsive when in your tutorial being asked " better yet ... you leave a quick comment to tell us what you expect as a type of transitions" and that is what I am doing ! The creations that Le Papy produces and provides for us are without a doubt the best enhancements that any amateur could ask for . Thank you for sharing and caring !!!! Saibene and gg creations are a great addition after what seemed to be a long time of of transitions being dorment !! 370 touch pad3 is just what I needed for a small project I am working on. 370 PAD3 tactile est juste ce dont j'avais besoin pour un petit projet sur ​​lequel je travaille. In Pinnacle Studio 15 Win 7 (64) the transitions #375 #376 and #377 are black but functioning the way they should . They are ok in the HFX Editor . Have tried ALL your Tips and other related Suggestions to the letter and nothing seems to fix this . Have run Repair for Studio 15 and the Bonus Disc . Transitions #372 #373 and #374 are ok and NOT black ?? Just to let you know that I loaded Studio 14 and the three Transitions are NOT black ?? I was hoping it would also fix Studio 15 but they are still black ?? PS: Saby had the same problem than you, after re-applying the batch, it worked. I don't know what resolved it but I kept Studio 14 and uninstalled and reinstalled Studio 15 . I reloaded the 7 Transitions and ran Repare which followed it through 14 and 15 . The black on the three questioned transitions has been rectified . It appears there is something with Studio 15 that your Transitions does not like ! What I did not mention was that ALL seven did NOT appear originally in Studio 15 even after running Repare but they where present in the HFX Editor and only after un and reinstalling both Studio 15 and Bonus did the Seven appear but the three where black which was what was mentioned ! Sorry, I do not understand your last email. Do you succeed or not ?? I am trying to tell on how it was done !! I downloaded 378-videowall. I downloades InstallHFX and put it in Hollywood\6.0. I ran INSTALL.BAT program. When I doubleclick 378-videowall it tries to open Studio 14 and fails. Add to above. Win 7; 64 bit. Can/should I delete all older Pinnacle versions? I guess I can't read carefully enough because I tries all that and still no results. This is what I did to make it work. 1. On Desktop I created folder named "Declic HFZ files"
2. In this folder I placed copies of the following three files, INSTALLHFZ (File Ver 6.5.0.178; Prod Ver 6.5.0.178); HfxClasses60.dll; and HfxGUI60.dll. 3. I download "378-videowall" into same folder. 4. Set UAC to "Never"
5. I drag & drop "378-videowall ont "InstallHFZ"
Program runs and installs all files in to C:\Public Documents\Pinnacle\Content\Hollywood FX\Effects no problems. Thank you and your team for free effects/transitions. I greatly appreciate your work. I just posted a YouTube video on my issues/solutions to HFX installations. Comments are welcome - be gentle. I had to "jump" to the article to finish reading "This week, Le Papy attended the Winter Olympic Games in Sochi" ...................... ... comfortably settled in his armchair in front of his TV. Thank you for your work Le Pappy. For your consideration I would love to have " TORONTO " as a city !